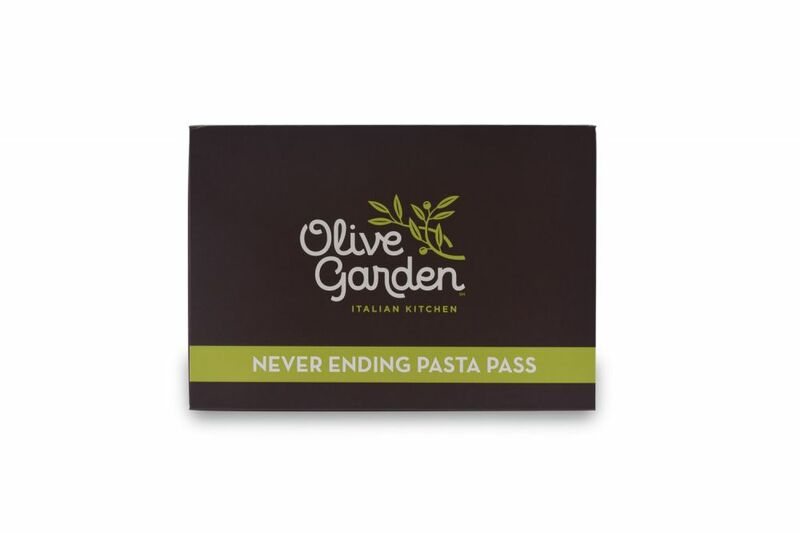 When Olive Garden’s new Neverending Pasta Pass was launched, the Olive Garden team knew that a traditional pass holder would not suit the program or the brand. They had to impress Pasta Pass holders with a premium package and presentation that would increase sales, customer loyalty and brand awareness. 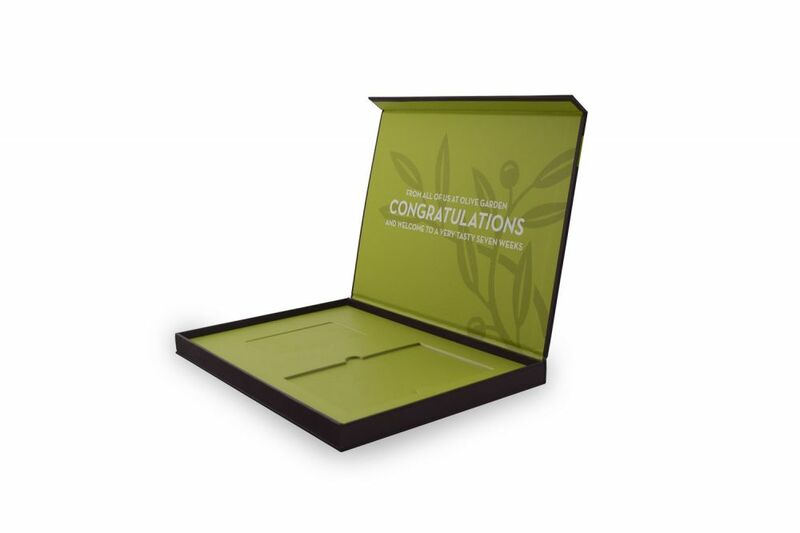 Knowing the task at hand, Americhip and it’s world-class paper engineering team designed and produced a premium turned-edge package constructed of sturdy chip board and crafted with semi-gloss soft touch paper. 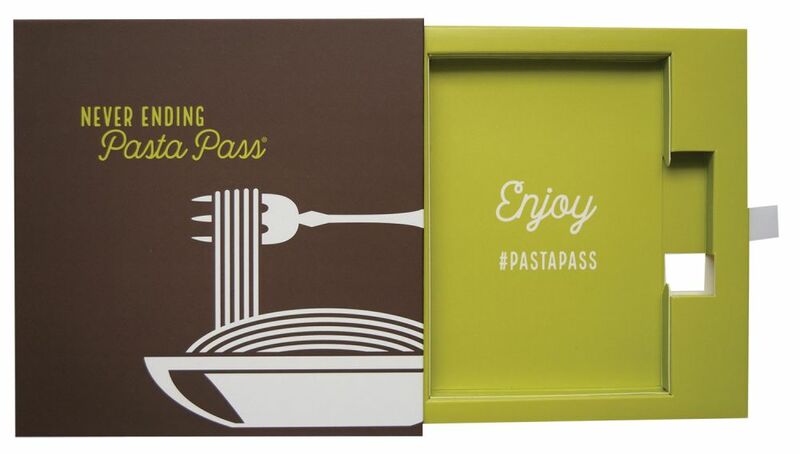 The impressive 7” x 10” x 1” packaging included a magnetic closure and when opened, it revealed custom-made slots for the pasta pass as well as a clever paper “passport” detailing the program. Recipients knew right away they were receiving something special when they received their pass. 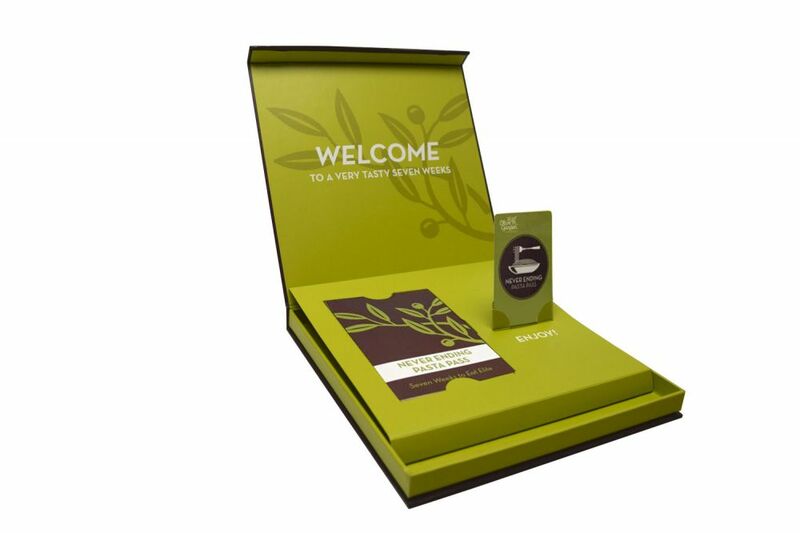 Due to the success of the Neverending Pasta Pass campaign, the Olive Garden team continued to work with Americhip to deliver new iterations of their pasta pass with premium packaging. 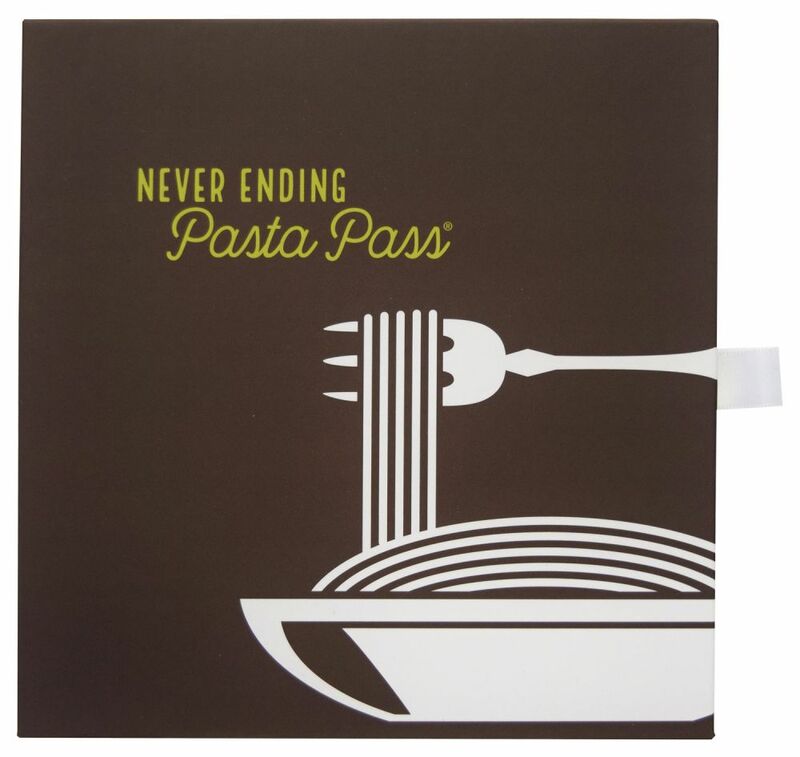 The second version of the pasta pass packaging included all of the same premium materials, but this time, recipients were delighted with an engaging pop-up mechanism that lifted the pasta pass from the packaging when opened. Same great packaging but with an added “pop”. And now with the Neverending Pasta Pass in full throttle, Olive Garden once again employed the expertise and creativity of Americhip with its third version of premium packaging. This version was smaller in size, but was still impressive with its new telescoping feature. The compact 6” x 6” x 1” packaging included a ribbon tab on the side of the packaging which when pulled, revealed the pass and passport as it slid out of the box. 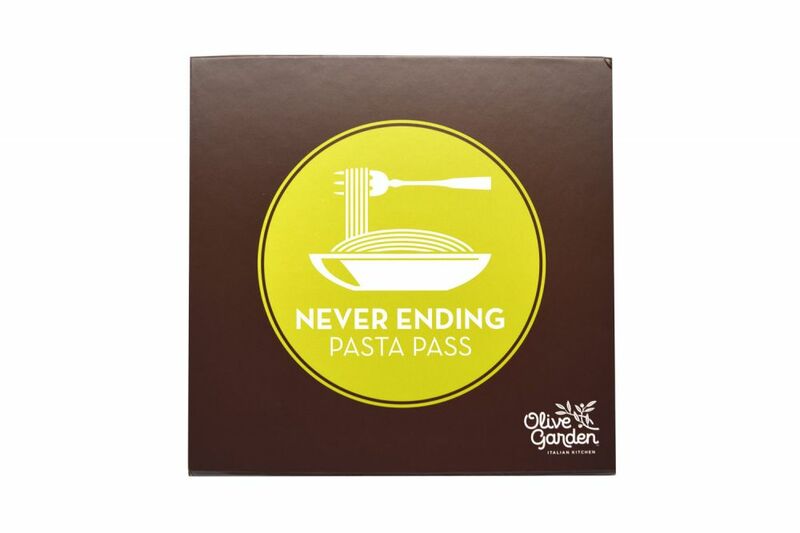 Olive Garden’s Neverending Pasta Passes have been selling out with each new program, further proving that a good product is even better in great packaging.